Built from an exclusive design valve spring removal tools are engineered specifically to work with all GM Gen III/IV LS-type or Small Block Chevy and Small Block Ford engines. The easy-to-use custom design enables the removal of one or two valve springs at a time without the hassle of removing the rocker stand or any of the other installed rockers. The tool works both with cylinder heads installed on an engine in a vehicle or with the cylinder heads off. The simple design facilitates easy usage in vehicles where other tools are incapable of reaching the tight spaces. Our super-duty compressor is constructed of a welded steel box-tubing frame and an over-center type clamping device that can compress any valve spring. The compressor arm slides up and down for adjustment and utilizes a locking pin for speed and ease of use. 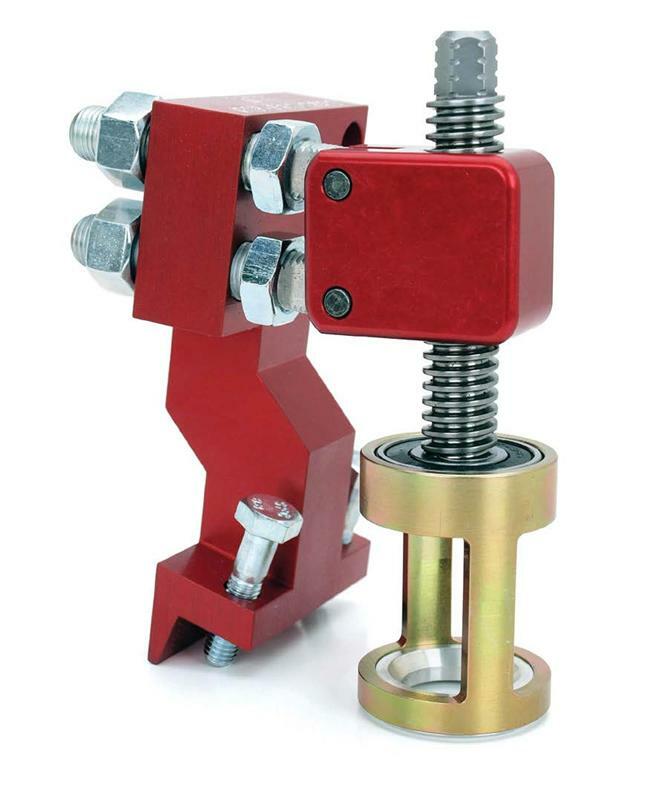 A base is offered to hold the unit upright in order to use the compressor in conjunction with a mini spring tester. 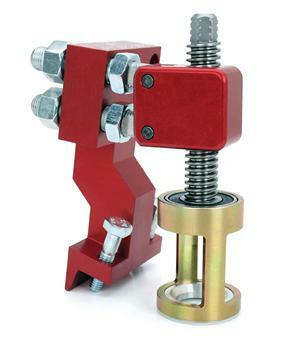 The proprietary wave beam design of this 2000 Valve Spring Compressor provides ultra rigidity in a lightweight package. This heads off spring compressor features a dual adjustable design that allows for perfect positioning and easy access to valves and springs. The spring cage has a small 1” inside diameter flange that works perfectly with most popular valve springs. The Deluxe Universal Overhead Valve Spring Compressor easily removes valve springs on most cars and light trucks. This versatile spring compressor can be used with the cylinder heads on or off the engine. The unique tool features a removable handle that allows for use with a 5/8” socket or wrench in confined areas and an extra-long leg for other applications. For best results, use with our 14/18mm Air Operated Valve Holder (#5657) to pressurize the cylinder and keep the valves in place during removal of the springs and keepers. If you’ve ever tried to remove high pressure valve springs with shaft mounted rocker arms while the cylinder heads are still on the engine, you know what a chore it can be. The COMP Shaft Mount Valve Spring Compressors are designed to facilitate valve spring removal on heads with shaft mounted rockers. A great way to check spring pressure on an assembled engine, this billet aluminum tool fits onto your rocker arm for quick pressure checks. Measures pressures up to 600 lbs.